Surrounded by green gardens and pine trees, Sülo Pension is only a 10-minute drive from the 12 km long Patara Beach. It offers air-conditioned rooms with free Wi-Fi and breakfast is also included. 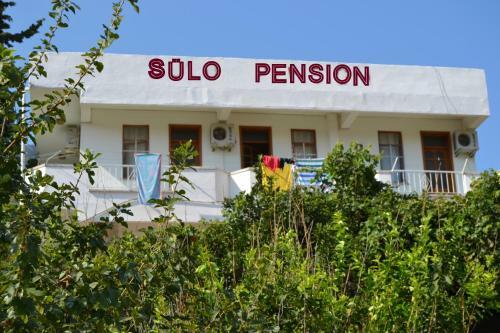 All rooms of Sülo Pension features beds covered with mosquito nets, offering a pleasant sleep. They all have balconies and private bathrooms including a toilet and a shower. 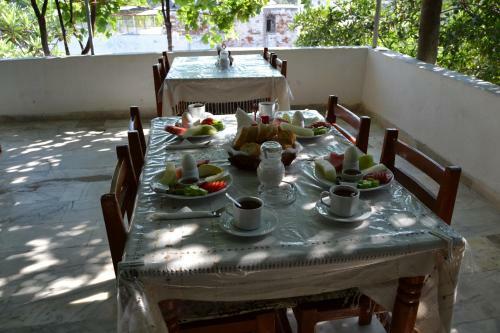 The restaurant serves Turkish cuisine and the ingredients are provided by the hotel’s own vegetable garden nearby. Guests can have their meals outdoors, enjoying the natural surroundings. Patara Antique city is only 1.5 km from Pension Sülo. Guests can also visit the historical city Xhantos, which is 15 km from the hotel. Děti jsou v hotelu vítány. Za použití stávajících postelí pro 1 dítě do 6 let se neplatí. Za dětskou postýlku pro 1 dítě do 2 let se neplatí. Za přistýlku pro 1 starší dítě nebo dospělého se platí 10 EUR na osobu a noc. Maximální počet přistýlek/dětských postýlek na pokoji je 1.